First, let's take a meta look at the issue. In the broad sense, what causes roughly half of the population of the United States to have less-frequent-than-ideal bowel movements (1)? The science is pretty clear on the matter. People have constipation for the following reasons. Dieting and a reduction in calorie intake. Consumption of dairy, which causes constipation in large segments of the world's adults and children. If you're eating any meat, eggs, or dairy, which have no fiber, that means that you're forgoing eating plant foods that contain fiber. Studies have shown that this trade off has a significant impact. Omnivorous males average 9.5 bowel movements a week, while vegan males (who don't eat meat, dairy, or eggs) average 11.5 (5). Before you start worrying about bananas, ask yourself if the above main causes of constipation apply to you. You can also read more about the cause and cure for general constipation in this article. If anyone should suffer from this theoretical banana constipation, it's me. As an athletically-active raw foodist, I've gone through long periods of time scarfing down several dozen bananas a day. Yet I have more frequent bowel movements than I've ever had in my life. Before I started eating a raw food diet I was suffering from the intestinal disease colitis, which had constipation as a side effect. In an effort to escape that nightmare I started eating just bananas. Within a week my constipation was gone, and most of my colitis symptoms had disappeared in a few months. Today I eat a much broader diet because my intestines have healed, but I'm very sure that bananas haven't slowed down my digestive system. But then again, I've met plenty of new raw foodist convinced that bananas have constipated them. They're right, of course, but not because bananas are inherently constipating. 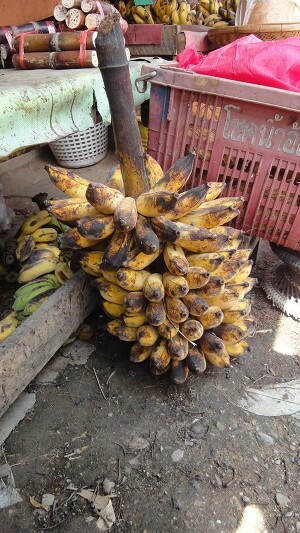 Five years ago I was having lunch with two colleagues, and, as often happens, my meal of fruit - in this case about 10 bananas that were very ripe and covered with brown spots- became a topic of conversation. One of my colleagues, Mike, had packed a banana with his lunch that day - an unripe one that was about 90 percent yellow with bit of green near the tip. As I plowed through three or four bananas, he timidly took a few bites from his. "I don't know how you can handle all those bananas," he told me. "I like one a day, but I'd get a stomach ache if I ate that many." "Yeah," Regina, my other colleague, piped in. "And you must be so constipated. Bananas cause constipation, you know. I can't even eat them." "Oh?" I said to her. "But I bet you like you bananas like Mike likes his - with bits of green on them and no brown spots." She nodded and said, "I don't like them soft"
"If I ate my bananas like you eat them," I said, turning to Mike, "I'd be be as sick as you think I should be." "And," I said, turning back to Regina, "The nether regions would be a bit backlogged as well." I went on to explain to them that it's not bananas that cause stomach aches and constipation, but the fact that they're eating very unripe bananas. To some degree, calling a banana ripe or unripe is subjective. Ripening is an ongoing process that begins on the banana plant when the mature fruit appears completely green and ends right before the banana starts to ferment and be broken down. However, a banana eaten at one end of its ripening transformation can have a radically different composition than one eaten at the other. Although quite a few changes take place, there are two that are highly significant for digestion and bowel function. The first is that the banana changes from being a primarily starch-based carbohydrate source to a simple-sugar-based carbohydrate source. Below I list how starch and sugar content corresponds to the appearance of a banana. A green banana with some yellow is 80% starch and 7% sugar. A mostly yellow banana is 25% starch and 65% sugar. 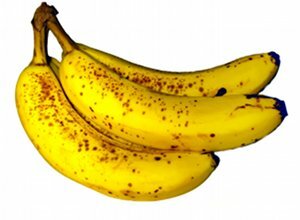 A spotted and specked banana is 5% starch and 90% sugar. Starch is significantly harder for the body to digest and break down than sugar. Sugar is digested and assimilated very quickly. Don't worry, the simple sugars in fruit, such as natural unprocessed fructose, are not bad for you. Another factor is that as bananas ripen they produce ethylene gas, which causes the production an enzyme called pectinase. Pectinase breaks down the pectin between the cells of a banana, leaving it considerably soften and easier for the body to digest. Just how "binding" is pectin when not broken down by pectinase? In the processed food industry, large amounts of pectin are dumped into foods like jelly to get them to clump together, thicken, and become sticky. Medically, pectin is included in remedies for both constipation and diarrhea, interestingly enough, with the constipation cures having very little of it and the diarrhea cures have a lot of it. In our bodies, pectin increases the volume and viscosity of stools. Viscosity measures the resistance of a fluid to deformation. Basically, the less viscous your substance is, the easier its movements are (6). So you can imagine that an unripe, pectin-laden banana really gums things up, causing constipation. Now pectin isn't bad for us, but we should be eating it in the small quantities found in ripe fruit. In small amounts it can have a stabilizing effect on our bowels, which is why bananas are frequently suggested as part of the BRAT diet for babies and adults suffering from diarrhea and other intestinal distress. Ok, so you understand that unripe bananas can give you constipation. But what does a ripe banana look like? Ideally, you shouldn't eat them before they've got the first brown spots on them. The picture to the right gives an example of what I'd consider a banana that's ready to eat. Generally, you don't want any green on your bananas, but occasionally you'll find peels that have a bit of green yet have started to develop spots. These are often fine to eat. If you have more questions about ripening bananas and other fruit so they're ready to eat more quickly, check out this article. 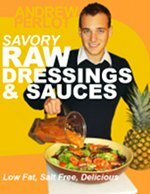 Kiss the bananas and constipation myth goodbye with a healthy raw food diet. Want to lose weight and feel great? 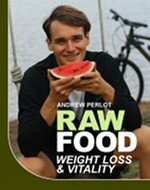 Check out Raw Food Weight Loss And Vitality. Learn which foods are healthy and which are harmful. 1) G.J. Davies, M. Crowder, B. Reid, & J.W. Dickerson. Bowel function measurements of individuals with different eating patterns. Gut, 27(2):164-169, 1986. 2) Walia, R.; Mahajan, L.; Steffen, R. (October 2009). "Recent advances in chronic constipation". Curr Opin Pediatr 21 (5): 661–6. doi:10.1097/MOP.0b013e32832ff241. PMID 19606041. 3) McCallum, I. J. D.; Ong, S.; Mercer-Jones, M. (2009). "Chronic constipation in adults". BMJ 338: b831. DOI:10.1136/bmj.b831. PMID 19304766. 4) Iacono G. Intolerance of cow's milk and chronic constipation in children. N Engl J Med. 1998 Oct 15;339(16):1100-4. 5) Sanjoaquin MA, Appleby PN, Spencer EA, Key TJ. Nutrition and lifestyle in relation to bowel movement frequency: a cross-sectional study of 20630 men and women in EPIC-Oxford. Public Health Nutr. 2004 Feb;7(1):77-83. 6) Symon, Keith (1971). Mechanics (Third ed.). Addison-Wesley. ISBN 0-201-07392-7.